You no need to worry all above of this and you only need to pay RM400 / person / week to stay a property with hotel facilities !! 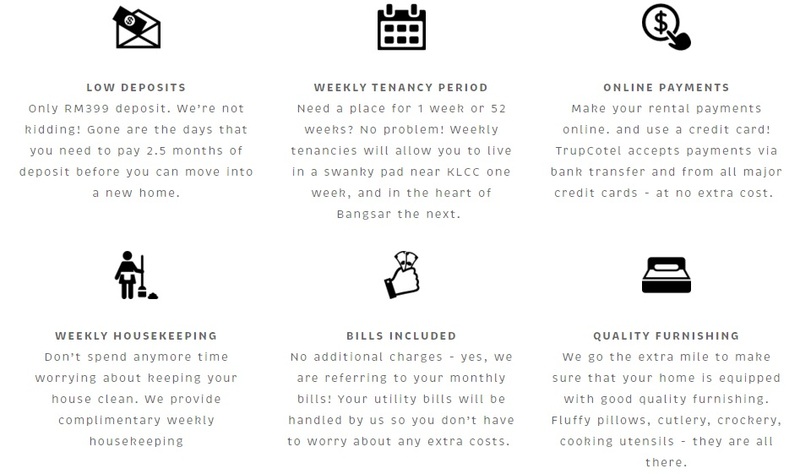 You can change your tenant after 1 week too! TrupCotel is a one-stop property to tenant matching service that aims to ease the rental process for young executives. 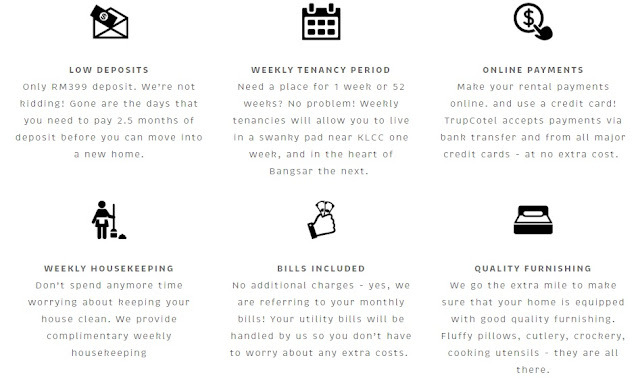 TrupCotel provide rentals with a minimum length of lease of 1 week, no additional payments and no 3 months upfront deposit needed. 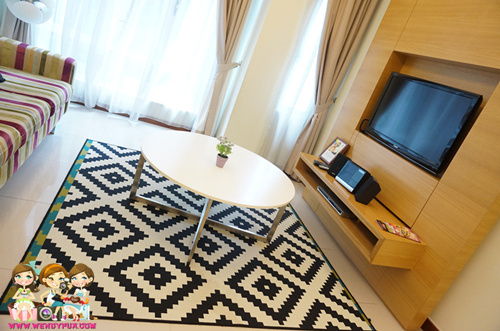 TrupCotel tenants can rent fully furnished apartments with one price that includes monthly rent, utilities, free WiFi, free weekly housekeeping and access to building facilities. 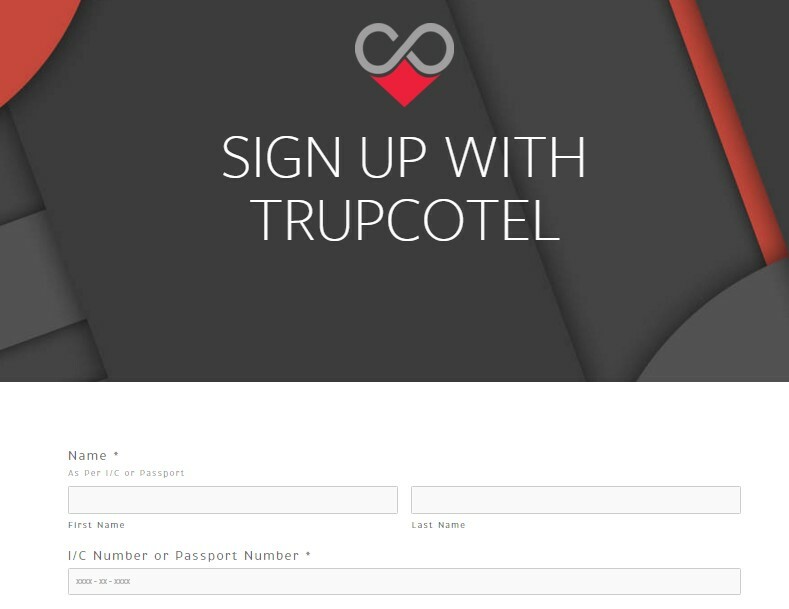 TrupCotel want tenants to find an accommodation closest to their office to experience the best work-life balance. 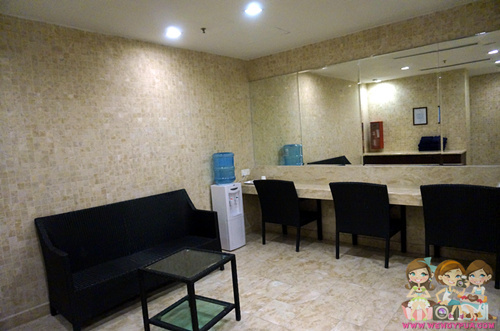 5 mins walk to KLCC, night life entertainment, in the middle of KL golden triangle area. 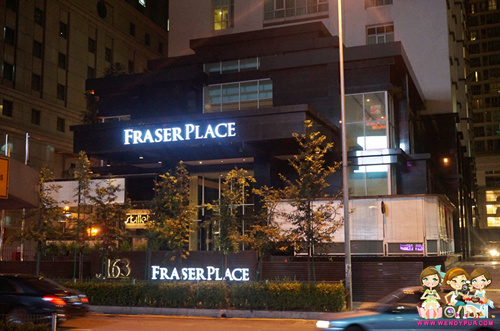 Only RM399 deposit which also includes utilities and high speed internet broadband for the duration of your stay then you are in Fraser Place apartment that fully furnished residence, so what you need to bring is only your clothes and yourself ! To sign up, you fill in a quick step form on the website detailing your needs, whether its for a one individual or sharing. You will be provided with a Tenant ID and a follow up email will direct you to an enquiry form which will assist in choosing by location, number of people and budget. 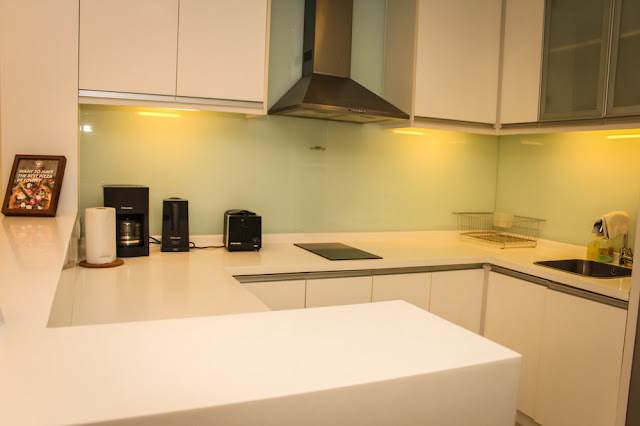 Their emails respond is very fast within 1 day which is very good for urgent move in tenant! no need to spend extra time to do house chores! Gas & Electric bill is included in the rental, so just cook whatever you want here! bar table as workplace for me! can accommodated 4 person per apartment. Let's Check Out what is facilities that we enjoy while rent Fraser Place with TrupCotel. Stay like a Hotel , Rent like an Apartment! Swimming Pool overlook KL Tower with Towel Provided. great to use it before / after gym! water dispenser , hair dryer , vanity mirror available. Girl day out here also not bad! 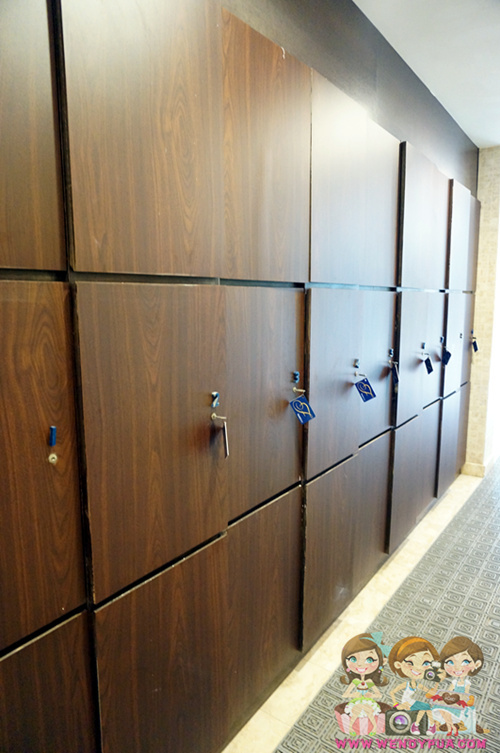 Personal Lockers to keep Personal Belonging. 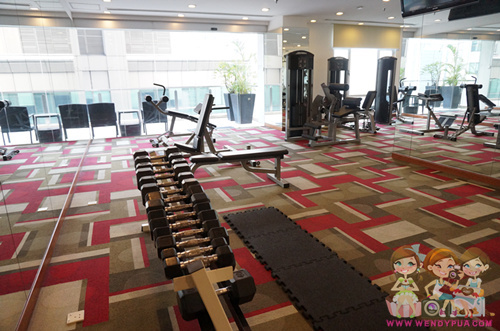 No worries about after work traffic jam, membership fees. 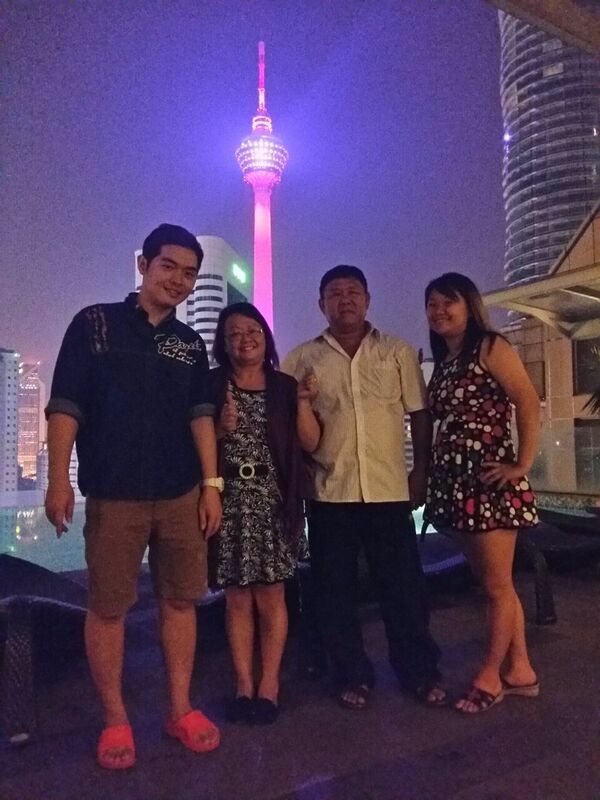 I enjoy my stay with my family at swimming pool and overlook the KL Tower. I might planning another with my girls friends party here! Their customer services is superb, even at Friday evening with hectic traffic at Jalan Perak area. 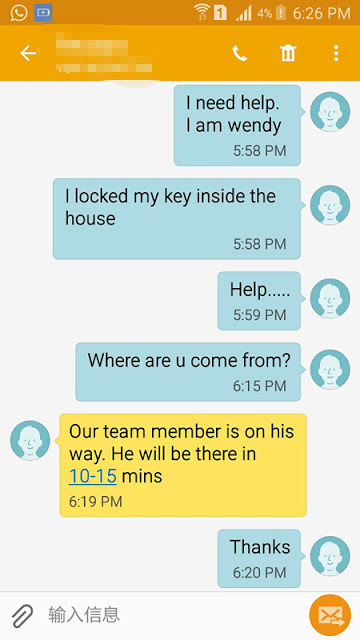 their still attended my request immediately for a blur tenant like me to lock the key inside the house. everything done it within 30 mins! Interested to rental a property with your friends & families? You all will get a 5% discount on rentals with this promo code. Haha.. funny that you locked your key inside. It happened to me before, locking my key in my hotel room. Glad that their service is fast and efficient. This place is very convenient, its in the city center. 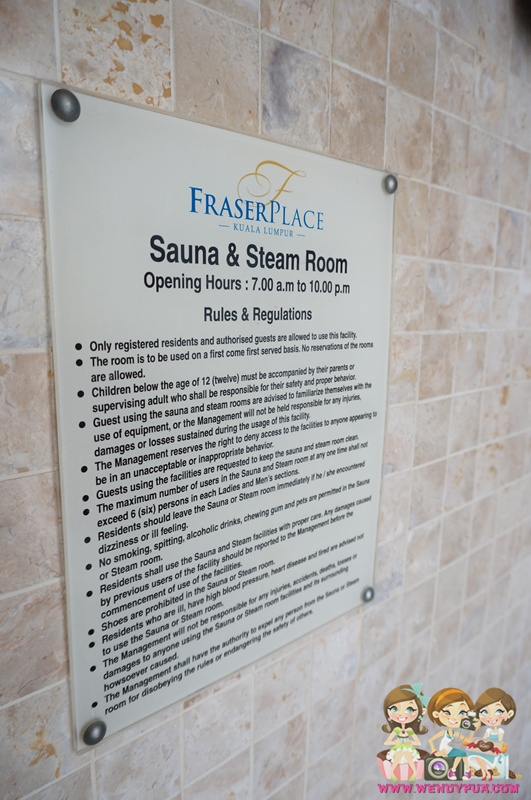 I like their facilities also. 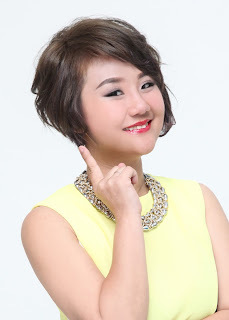 whoaaa..so nice this one! quite cheap for fully furnish. gonna check later. wooo i like the jacuzzi so nice ler!! !